Included below are homes for sale in Brentwood, TN! One of the most affluent corridors of the Nashville area, this vibrant community is just a short 15 minute drive from downtown Nashville and is home to several country singers, athletes, and executives, thanks to its private gated neighborhoods and luscious rolling hills. Sitting predominantly in Williamson County, Brentwood residents have access to the Williamson County school system, which is consistently rated as one of the top disctricts in TN and the US. Ranging anywhere from the mid $200s to $5 million, home prices in Brentwood average around $700k and most include park-like outdoor space and amenities galore. If you would like more information on any of these Brentwood homes for sale, just click the "Request More Information" button when viewing the details of that property. We can provide you with disclosures, past sales history, dates and prices of homes recently sold nearby, and more. The Brentwood housing market is as hot or hotter than all areas in Nashville. The area is seeing a record pace in rising home values. Homebuyers have a real challenge ahead of them in competing for housing in the Brentwood market. Buyers of Brentwood homes will tell you the reward is worth the hard work. The city offers some the most gorgeous communities around, along with highly-regarded Williamson county schools. Single family home prices in Brentwood typically range from around $300,000 - $800,000 with many multi-million dollar luxury homes and communities. 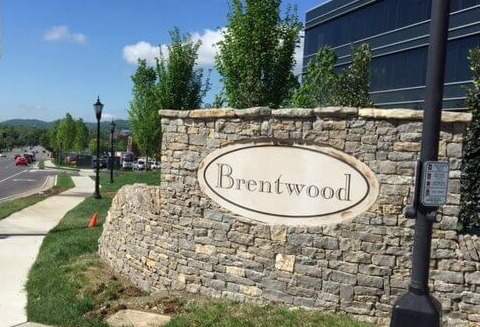 Brentwood, TN has long been a desirable place for people to live, work, and of course buy a home or condo. In fact, the area is so popular, homes tend to be priced on the high-end of the scale. But the demand for owning a home in this affluent community continues rise and builders will continue to develop land to attempt to meet the home buyers needs. Currently there are Brentwood single family new construction options available in the communities of Annandale, Borgota, Cromwell, Elmbrook, Fountainbrooke, Glen Abbey, Hidden Creek, Morgan Farms, Taramore, Whetstone and more.